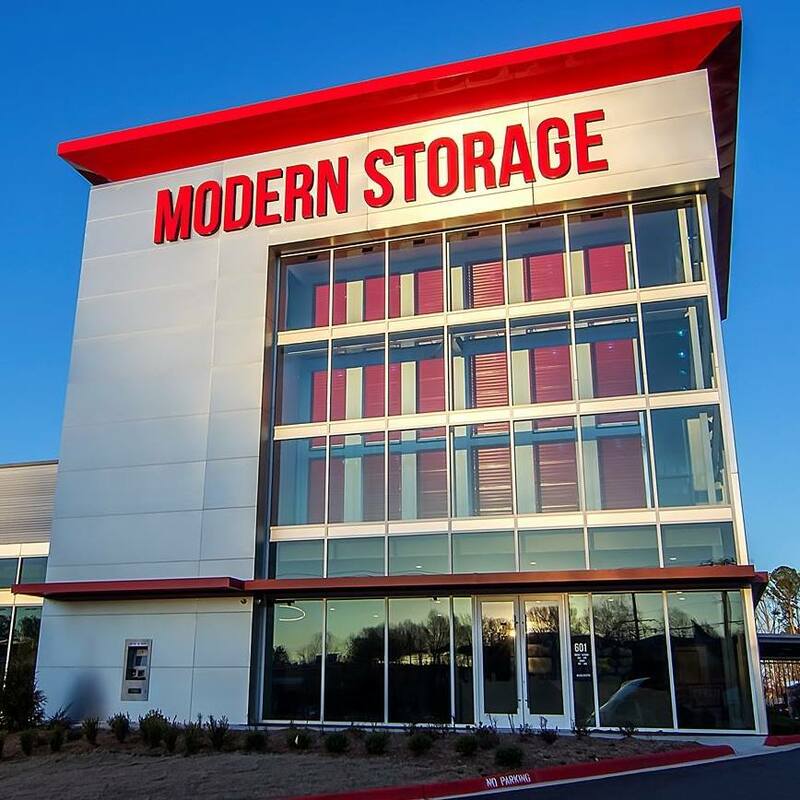 Here at the West Little Rock location of Modern Storage, we are looking to change the way people feel about storage on every level. Long gone are the days of having to go rent a truck every time you need to put your items in storage. At Modern Storage West Little Rock, we understand the hassle having to run across town to rent an overpriced truck, that’s why we offer a Free Truck to every customer with each rental of a storage unit, that you can use to move your items into storage. At Modern Storage West Little Rock, we offer all storage units of all sizes. From 5x5’s to 12x35’s offered in Climate Control or Non-Climate Control, some even have 14 foot ceilings! All storage units come equipped with door alarms that can let you track when your unit has been accessed or let you know if someone is trying to get into your unit that shouldn’t be. We know how important your time is, which is why we offer the convenience of renting your next storage unit 24/7 online or at our kiosk at the entrance of our storage facility. If you would rather deal with a person, our facility is staffed 7 days a week to take care of your storage needs. At Modern Storage West Little Rock, we don’t forget about you. Our lobby has many amenities to offer, we have a business center that offers multiple computers and a printer free to use. We also have a conference room that can be reserved for customers and businesses to use free-of-charge during business hours. Attached to our wine storage we have a wine tasting room that is free for anyone renting wine storage to use for tastings. On your way out don’t forget to grab a complementary cup of Starbucks coffee, a cookie, or a water. Every storage unit at our storage facility comes with a multitude of security features. For example, all units have a door alarm you can monitor via an app on your phone. Our entry gates can be opened using your custom passcode, which allows us to monitor whenever someone comes and goes. Why store elsewhere when at Modern Storage West Little Rock, you can get all these modern conveniences for the same price as other local companies? Call us for details!